At Blackwell Chiropractic, we focus on improving and maintaining healthy function of the spine and nervous system through chiropractic adjustments. When your spinal column is in alignment, the rest of your body is better equipped to function properly. However, daily activities, injuries, and health conditions can lead to dysfunction of the spine, which may cause pain, discomfort, and other symptoms. A major symptom of spinal dysfunction is musculoskeletal pain, which affects the neck, back, and extremities, telling you that something is wrong with the spine. 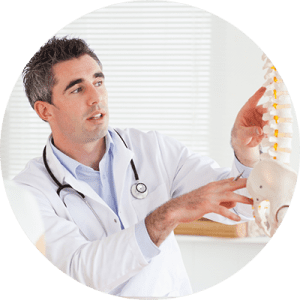 Our licensed chiropractors will assess the function of your spine, determine the best treatment plan for your specific needs, and correct any dysfunction through specific chiropractic adjustments, returning the body to a natural state of health. Chiropractic care is also a safe, gentle, and effective treatment for expectant mothers, babies, and children! Our team of wellness practitioners is eager to treat patients of all ages, so call us today or reach out to us online.